A teenager discovers his grandfather's secret identity only after his death. A young immigrant to 1940s Singapore is convinced the end-times are nigh. A man is tasked with bringing the corpse of his estranged brother home from Phuket. A reporter is torn between doing her a job and respecting her friend’s privacy. 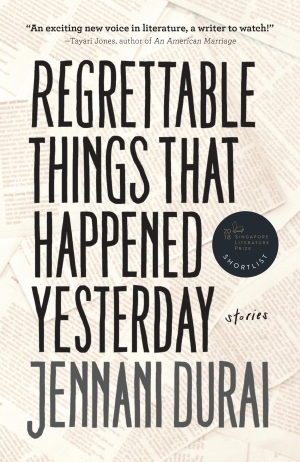 From obituaries and job ads to crime reports and horoscopes, Regrettable Things That Happened Yesterday is a collection of ten short stories connected by the motif of newspapers, and the unexpected ways they end up affecting our lives.